Del The Funky Homosapien, Dan The Automator, and Kid Koala worked on Deltron 3030 Event II for nearly a decade, and it shows. Their slavish dedication to a dystopia saved by battle rhymes is admirable, but their vision of the future sounds terribly dated. Automator spends most of the time wheel-spinning. The Damon Albarn reunion, “What Is This Loneliness,” is a listless sci-fi Spaghetti Western score that disregards the creative evolution of Gorillaz. Casual‘s stormy cameo is its saving grace. “City From The Ashes” (featuring Mike Patton) has a New Jack Swing drum loop as its flimsy foundation. “Pay The Price” relies on piano chords that sound like tertiary Wu-Tang outtakes. When Zack de la Rocha and Black Rob appear, we’re not sure if it’s the 31st Century or the 20th. Del’s distinctive voice and dynamic wordplay do not disappoint, rhyming “cave man mentality” with “may trade child for something to eat.” However, the content confines his delivery, turning Deltron into more of a narrator than a protagonist. “The Agony” is engagingly defiant and “Back in the Day” is a jovial “get off my lawn” sketch featuring The Lonely Island, a homeless robot, and a nasty reason for banning Old Yeller. But they are sequenced together without transition, and the uneven tone reeks of indecision. “My Only Love” (feat. Emily Wells) reminds us that Pillowfight deserved more recognition. 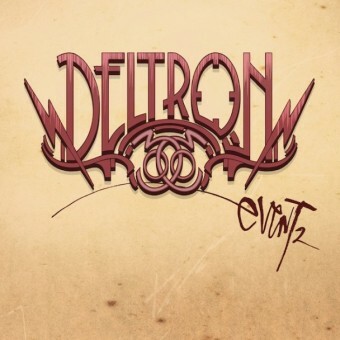 We wish Deltron had recorded Event II with the horn, strings, and rhythm section that they’re touring with. All the beeps and whooshes in the galaxy can’t distract us from the fact that ominous claustrophobia has been replaced with detached complacency.